14 Curzon Street serviced offices are located in the West End of London close to both Hyde Park Corner and Green park tube stations. The centre has been re-fitted to an extremely high standard and enjoys excellent services including secretarial assistance and IT support if required. 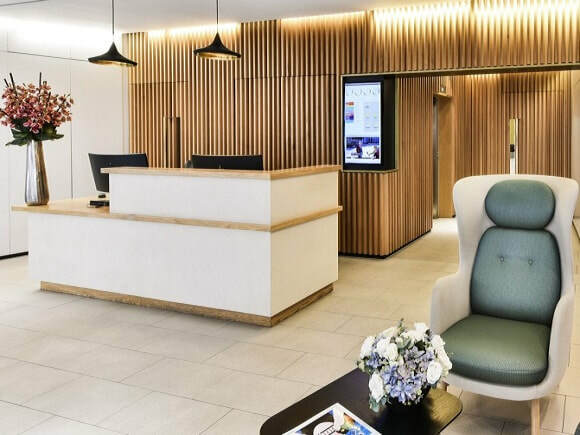 With fast broadband connected to all the offices to let, suites also come with a number of telephone points, which can be configured to a company’s specification. There is a professionally staffed reception to welcome visitors to the building and on-site boardrooms are available to use on a pre-booking basis. Quality furniture for office space comes within the rental price and shower facilities are within the property ideal for cyclists or after a workout at the gym.